Enjoy a yacht charter holiday in Cornwall and the West Country to explore some of the most versatile and stunning cruising grounds in England. Whether you prefer coastal hopping or longer offshore passages, Cornish Cruising offer you the opportunity for a sailing holiday discovering uncrowded, unspoilt creeks and traditional Cornish fishing villages, all within easy reach of Falmouth Harbour. 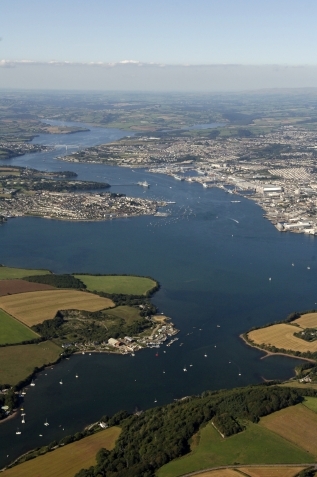 Sailing holidays from Falmouth, The Fal Estuary and nearby Helford River provide beautiful anchorages, sheltered beaches and safe swimming in areas of Outstanding Natural Beauty. Should you wish to venture further afield, Falmouth is the perfect departure point to explore the magical Isles of Scilly, sail across the Channel to France or round Land's End, into the Atlantic and on to Ireland. From couples to families, to sharing or going it alone, Cornish Cruising offers a wide range of modern cruising yacht hire to suit all budgets and dreams.